With college spring break and the summer vacation travel season just around the corner, we at Searchmetrics thought now would be a good time to compare just who’s ranking for visibility in both paid and organic desktop search. 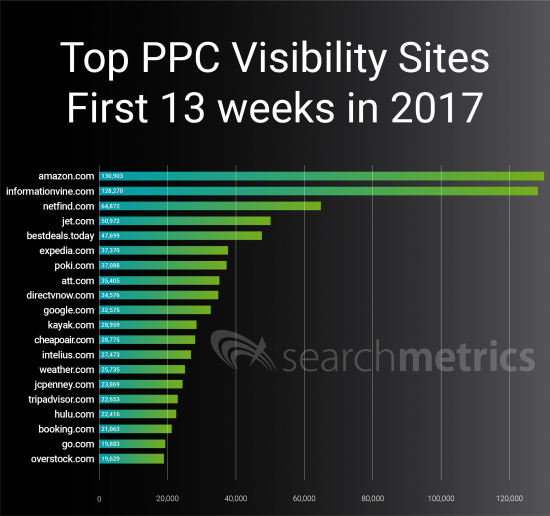 According to Searchmetrics data for the first 13 weeks of this year, travel, search and entertainment not surprisingly lead paid search advertising on Google.com. For organic search, people seem to be content to peek into other people’s lives for reviews, entertainment, news and even a little bit of gossip. Information and social media sites like Facebook, Instagram and YouTube are top 20 powerhouses in that category. The Searchmetrics data lays bare some stark facts affecting key industries such as retail, as more consumers and businesses use the web to research and purchase products. 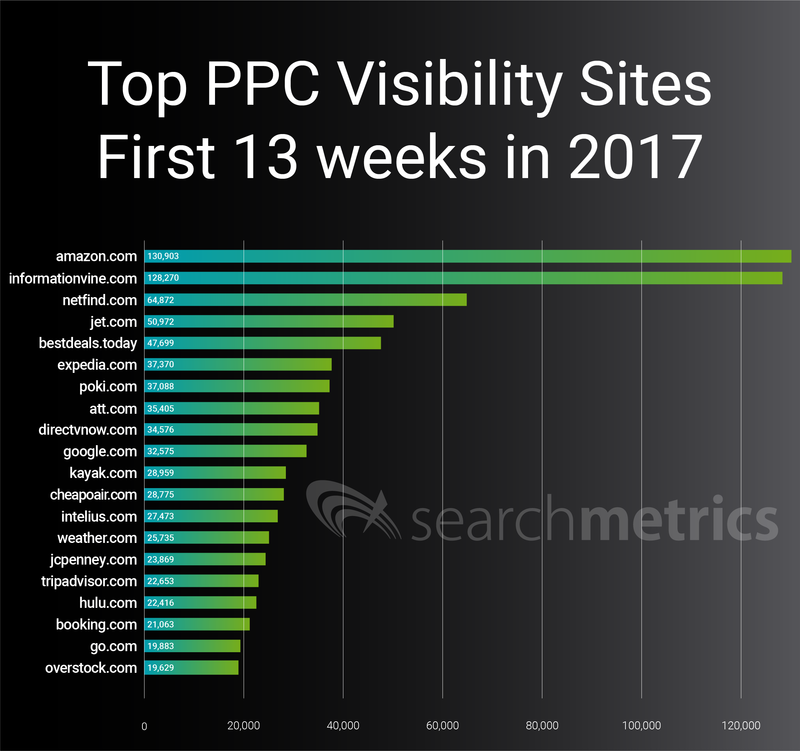 In a similar analysis conducted in 2012 by Searchmetrics, retail sites dominated the paid search list, taking 11 of the top 20 slots. This year, just Amazon, AT&T, Google and J.C. Penney are on the list. Astute readers will note J.C. Penney last month announced it would close 138 stores as it grapples with retail-industry challenges, while Sears caused a stir when it expressed its ability to function as a “going concern.” The decline in retailer dominance on paid search lists comes as consumers increasingly are ordering items from their phones or PC’s, avoiding the trip to the local mall and putting the squeeze on retailer margins. Dropping off the list from 2012 are Zappos, Best Buy, eBay, Lowes, Target, Home Depot, Sears and Nordstrom. To be fair, these retailers could be putting their marketing dollars to use elsewhere. Many have mobile apps that rank well for downloads from Apple’s App Store and the Google Play store. And retail analysts have lauded Nordstrom in particular for being quick to adopt a solid e-commerce strategy. With mobile shopping becoming increasingly important, retailers could be significantly shifting their paid advertising spending in that direction. A separate analysis of mobile data, however, finds mobile rankings that are, with a few exceptions, pretty much in line with desktop. Target is one of the biggest outliers, ranking well on mobile. Another point: Amazon – the shopping site that is given a lot of credit for decimating the traditional brick-and-mortar retail industry – ranks No. 1 in paid desktop search, up from No. 2 in 2012. This is a clear indication that paid desktop search remains an important part of the toolkit for even industry giants. Another sign? Google itself is in 10th place for paid search advertising. The search giant clearly sees the sense in using paid search to attract business customers to its AdSense program and for promoting its web browser, Google Chrome. The Searchmetrics’ weekly Paid Visibility score is a measure of how frequently and prominently a domain appears in paid search results based on weekly data from the results for billions of keywords, which Searchmetrics uses to populate the database that powers its online software for search and social marketers. 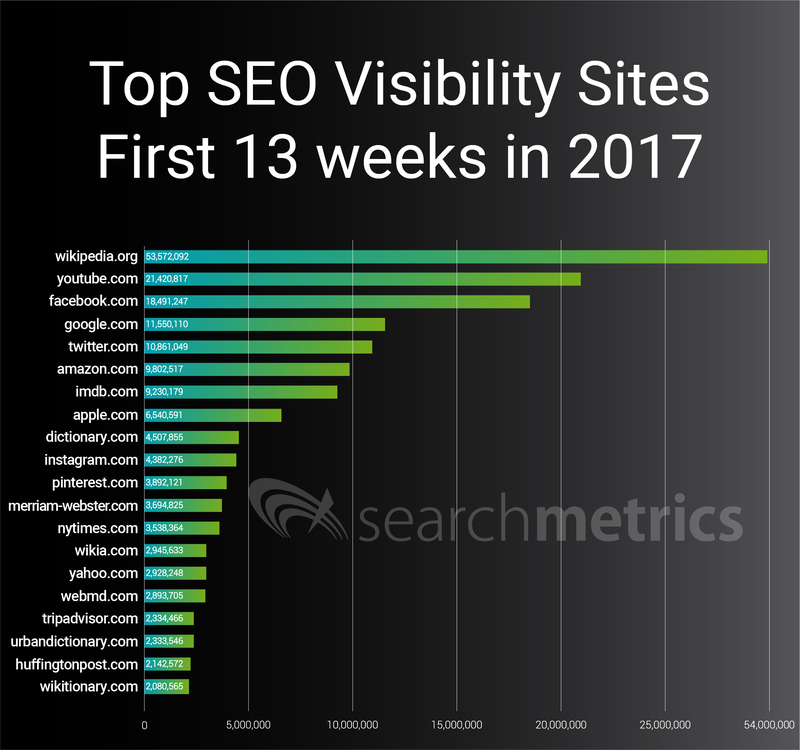 To create the top 20 lists in this study, Searchmetrics has used average Paid and SEO Visibility scores for the relevant domains based on the weekly scores over the course of the first 13 weeks of 2017. While SEO Visibility can relate to a website’s real traffic, it’s important to remember that traffic can come from many different places online. 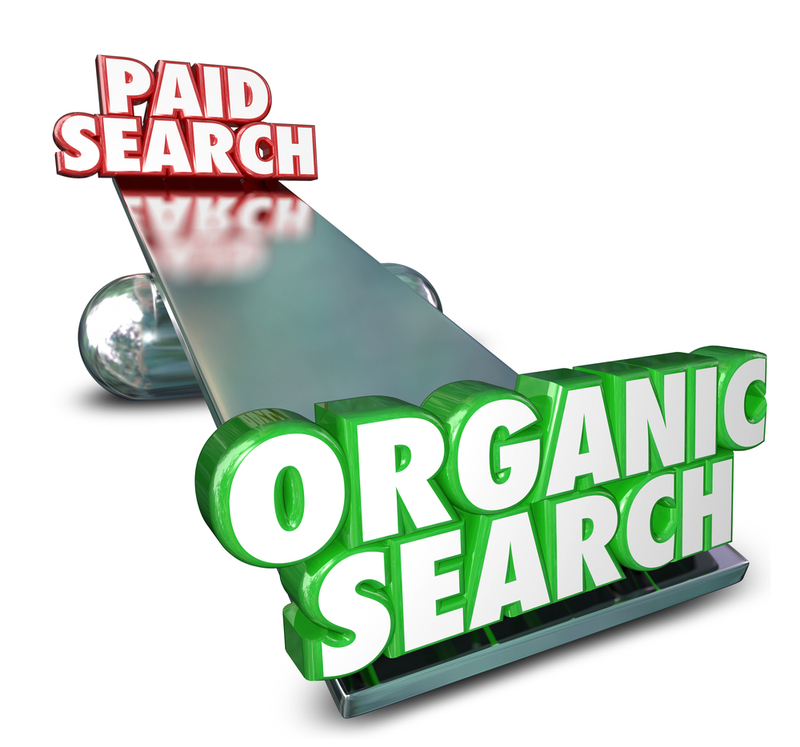 Therefore, SEO Visibility is only an indicator of visibility that comes from a website’s organic search channel. The hotly contested travel and online entertainment categories now dominate paid search. AT&T takes up two spots with its AT&T.com and Directvnow.com sites, while Hulu is attempting to amp up its visibility against Netflix, Prime Video at Amazon and other subscription streaming sites with paid placement. Disney’s go.com site also makes the top 20 list. Five years ago, there were no travel sites in the top 20 paid search list. Today, there’s five: expedia.com, kayak.com, cheapoair.com, tripadvisor.com and booking.com. As both consumers and businesses price-shop for the best fares and lodging, and seek tips on where to eat, shop and sightsee, we believe travel sites will continue to add features and unique content to lure searchers to them – and will pay handsomely to gain visibility over their competitors. Some of you will remember our post last year examining March 2015 survey from Similar Web that found that in the massive global retail shopping industry, organic consumer Google search traffic on desktop delivered 95 percent of all consumer conversions, compared to only 5 percent from paid search advertising. Organic search results are a search engine’s attempt to closely match listings that are relevant to a user’s search terms. Non-organic, or paid search, are results in which a company pays a search engine provider for preferential access. 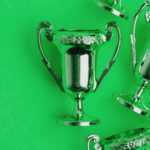 The trick to ranking well in organic search these days is not just optimizing keywords, but optimizing for sophisticated search-engine algorithms that are looking for 100% answer matches and the most up-to-date, relevant information for each query. The list of the top 20 most visible sites in organic search is dominated by content-heavy sites such as social networks, publishers and encyclopedia and dictionary sites. While our ranking factors studies have noted that encyclopedia/dictionary sites are seeing less traction, they still have a natural advantage in organic search because of the sheer amount of ranking keywords on their sites. The organic results show that if you and your team haven’t explored a way to respond to Google’s Knowledge Graph, you should. Back in 2012, when we first studied the top 20 numbers, the Knowledge Graph was just coming to the fore. Now, Google routinely enhances its search engine’s results with semantic-search information gathered from a wide variety of sources. It’s also increasingly presenting the user with what it thinks is the most direct answer to their query. That’s why we see Wikipedia (answers), YouTube (video); Twitter (Trump’s tweets anyone?) and Instagram (photos) dominating the top organic results category. Of the social sites listed today, only Facebook, Twitter and YouTube made the top list in 2012. Amazon, ranked sixth, is one of the few retail sites listed in the top 20. Apple was the other, ranking eight. 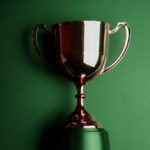 Both made the list in 2012, an indication of the strength of their brand against competitors. One interesting side note to the list: NYTimes.com, which President Trump repeatedly says posts “fake news” and is “failing,” joins HuffingtonPost.com, a site that is regularly skeptical of Trump, as the only true media publishers making the list. 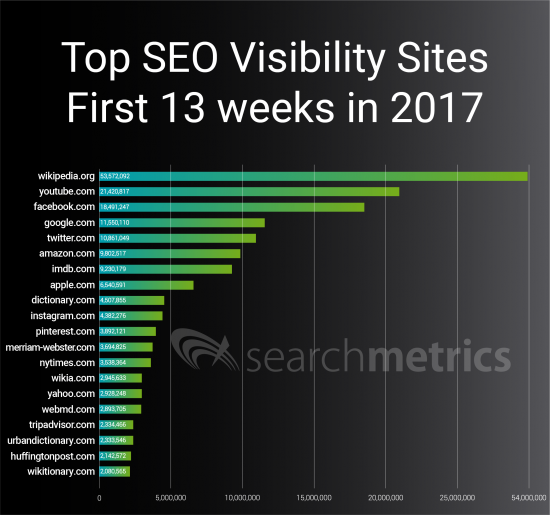 The list for the top 20 sites in organic search was developed using Searchmetrics‘ SEO Visibility score for Google.com, a measure of how visible and prominent a site is within organic search results. Merriam-webster.com and imdb.com were also present in the previous study. Reference.com merged with dictionary.com, the reason dictionary.com is now present in the 2017 study. 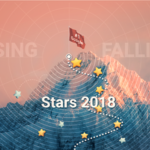 As the year progresses, we’ll keep you updated on any big changes in these rankings, with more analysis of the markets that matter most to you. NOTE: This post contains an update to CORRECT that Google ranked 10th in paid visibility. An earlier version incorrectly pegged Google at four, its visibility result for organic search. 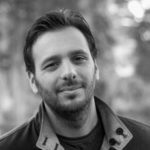 Sebastien helps Fortune 500 companies better optimize their web presence as Team Lead in SEO Consulting at Searchmetrics. With experiences leading SEO efforts for brands abroad (e.g. InterNations.org) and helping Silicon Valley startups kick start their search efforts, he loves digging into analytics data hands-on to interpret and shape the story it tells.